Toyota FJ Cruiser Forum > Toyota FJ Cruiser Discussion > Maintenance Tech > Mobil 1 ESP - Anyone using it? 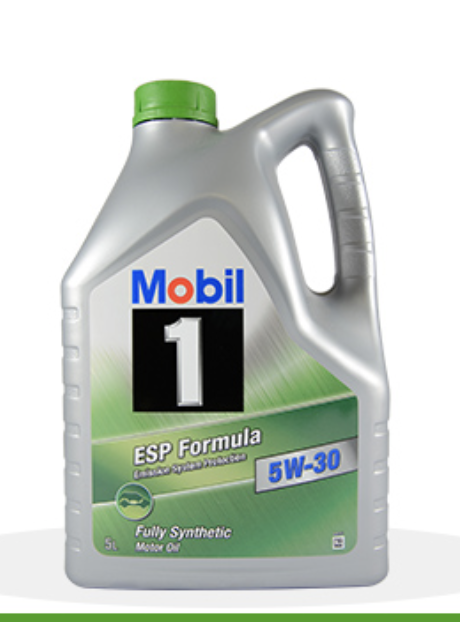 Mobil 1 ESP - Anyone using it? I've been using Millers oils since I got the FJ, my suppler is doing a promo on this and I need more oil so am wondering if it is good... anyone used it? Re: Mobil 1 ESP - Anyone using it? Nothing but but positive results from everyone I know who runs Mobil-1. I've used it for 240K miles in my V6 4Runner, still zero oil used between 6K mile changes. Ran it for 130K miles in a 5.0 Mustang, and when I replaced the valve cover gaskets, the valve train literally looked like a zero-mile engine: zero carbon, zero varnish, zero anything except bright, clean, bare metal. Note that the 0W-50 ESP has slightly more ZDDP than the other ESP versions. Bar3K and CabinCruiser like this. Last edited by FJtest; 12-04-2018 at 03:00 PM. I love Mobil One, been using it since the 80s. Just have no idea what the point of this ESP version is. read the link posted by FJTest above, sez the ESP is meant for diesel vehicles with particulate filters (in the exhaust, presumably). Probably would work just fine in any petrol vehicle, though. ZerosFJ and Irving Zisman like this. Last edited by Serenity Now; 12-04-2018 at 03:03 PM. The info says it is for petrol and diesel. I know about standard Mobil 1 trying to work out if this is better or simply not as suited to our engine. Thank you. I run a 5W-30 oil, asked because the chart you link doesn’t show any ACEA number etc for the ESP. I have been using Mobil 1 in my FJ and Tacoma for years. Oil change every 10k with no issues. 260k on my Tacoma and 145k on the FJ. Dont see why the ESP formula would not work just fine. I used 0w20 high mileage in my fj last year put a little less than 200 miles off road (doing overland driving) and after 2k miles i saw a thin layer of varnish in the filter housing and in the oil cap, i switched to valvoline 0w20 and never saw varnish again..
walmart mobil 1 is diff from other mobil 1? Did you have it tested to assure it was varnish? If you really have varnish in your system I’ve never seen another oil clean it up. Your oil filter should have been coated with it. The oil pressure should have been lower when the oil was cold. I’ve dealt with varnish problems in 1000 gal. systems. The oil that caused the varnish problems was not Mobil synthetic. Never seen varnish or coaking problems with Mobile synthetic.